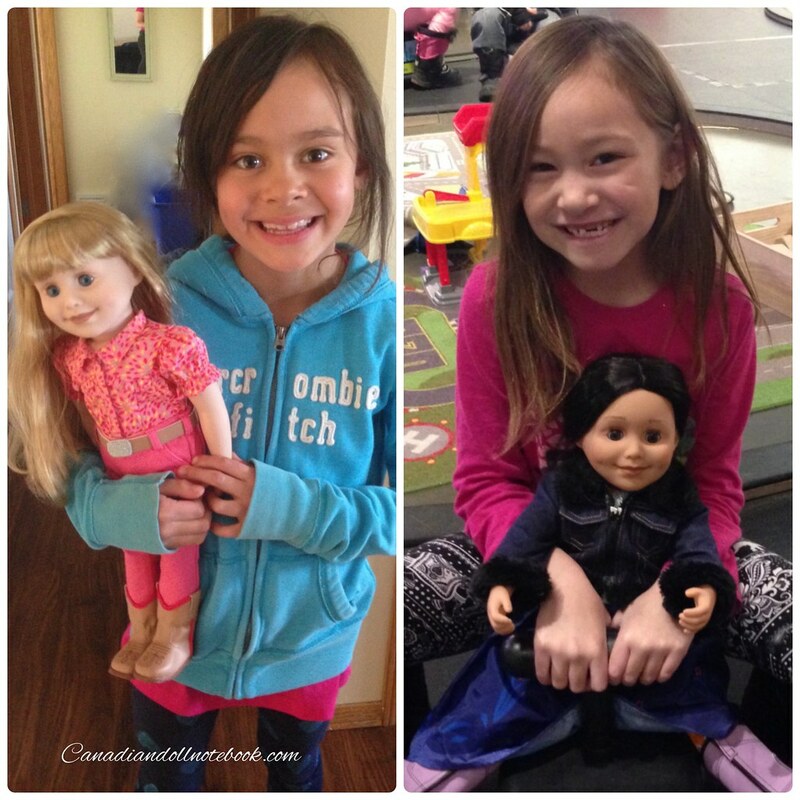 About two years ago I decided it was time to give in and buy my daughters 18 inch dolls. Michelle kept pushing for me to buy Maplelea Girl dolls, so I finally paid a visit to their site. I was nothing but disappointed, it looked as though their site hadn’t been updated since the dolls were first introduced in 2003, and the some of the starter outfits for the dolls… no thank you! There was no way that I was putting out $99.99 to a company whose website wasn’t even mobile compatible, this was the 21st century after all! So instead I bought my girls Journey Girls from Toys’R’Us, and they were happy… for a while anyway. So I found myself right back where I had started, on the Maplelea Girls website, only now it had changed! Not only had the site been updated, the dolls starter outfits had been updated as well, and I was able to view the site on my iPhone! As the Maplelea website held my attention, and I learned that each doll comes with a journal that gives details about the doll’s Canadian life. This journal also has a blank section for your child to fill in his or her own information, being a big advocate for journaling this feature spoke to my heart. I still struggled with $99.99 price tag, so my husband told our daughters that if they were able to earn half the money, we would pay for the other half. 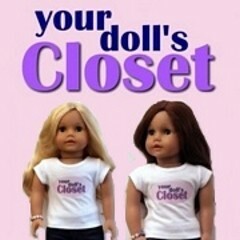 So the girls worked hard around the house, and saved their money and a few months later were able to earn their dolls. Now they take their dolls just about everywhere, although they are careful accidents do happen. Luckily Maplelea thought ahead and offers a spa program. 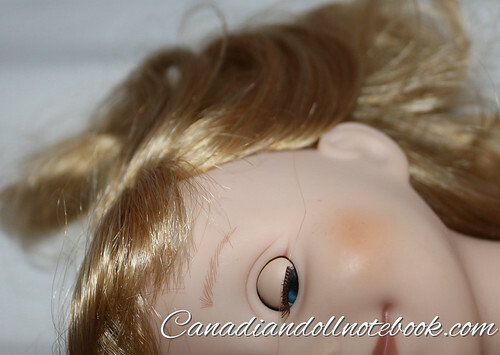 If your doll has any sort of accident or injury you can send her back to Maplelea and they will replace her for $56. Enough about my girls and their dolls, you came here for a review! Let’s get going! This Brianne Kovac, my oldest daughter’s Maplelea Girl. I just love her starter outfit! Just proof, she is a Maplelea Girl, complete with generation number. Although the dolls are designed in Canada they are made in China. As you can see her torso is cloth and her head, arms, and legs are vinyl. I like that these dolls don’t have hard plastic bodies this makes them soft and cuddly. Here is a view of the doll from the side. 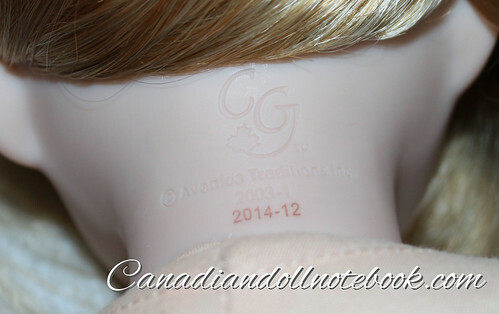 All Maplelea dolls have this stamp on the back of their necks which indicates that they are Maplelea dolls as well as their generation number. You notice here that there are no strings hanging down from the doll’s neck. This makes it more difficult to remove the head if necessary for repairs, but also prevents little hands from doing the same. Here is a close-up of her face, I just love her smile, and the added details of her dimples and rosy cheeks. Her blue eyes have quite a lot of depth to them. I also like that her eyebrows are feathered like real hair and not a single curve. This doll’s hair is quite coarse and has a bit of weight to it which makes it stronger and less prone to flyaways. The Maplelea Girls also have wigs and not have rooted hair. 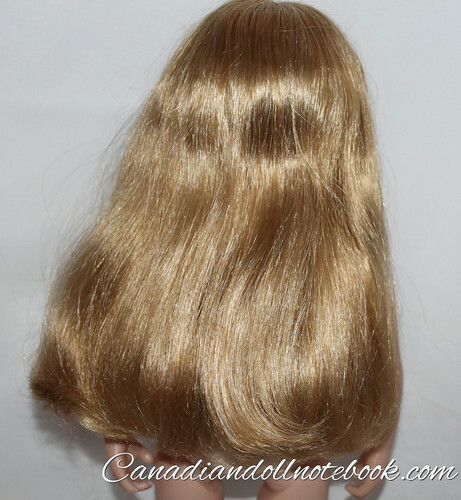 Rooted doll hair pulls out easily and often has bald patches on the doll’s scalp. You can see the edge of Brianne’s wig in the photo above. 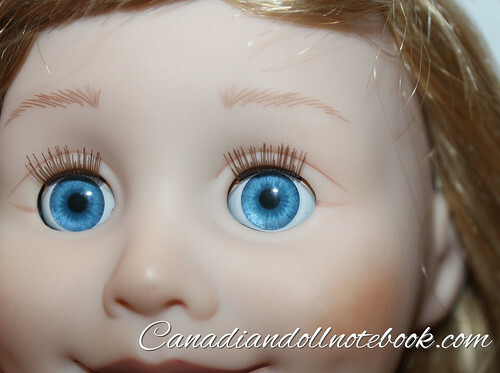 Maplelea dolls have eyes that close when lying down. At this angle you have a better view of the doll’s eyelashes. Maplelea dolls have hands that are “C” shaped as seen in the photos above and below. This gives the dolls the ability to hold objects during play. Maplelea has designed their play sets so objects fit perfectly into their hands. The doll’s feet are fairly wide, I like the detail in the sculpted toes. As seen in the photo below the bottoms of their feet are flat which gives them the ability to stand on their own. The Maplelea doll legs are fairly slim, I like the detail in sculpted ankles and knees. The hip joints are the same as most eighteen inch dolls that I have seen. As you can see in the photo above there is a white string inside the legs which holds it in place. Maplelea doll joints are fairly tight, and I had to use a lot of force in order to stretch the leg for this photo. The doll’s elbow is defined as seen in the photo above. However the shoulder joints are so tight that regardless of how much pressure I put on them I was unable to catch a photo of the sting inside, I could just barely see it. I am trying as hard as I can in the photo above to catch a photo of that string. Her joints are definitely a lot tighter than the American Girl’s. So that’s about it for the doll. Despite my initial impression of the Maplelea Girls, I had been nothing but impressed with these dolls. Not only are they a great toy and friend to my girls, they teach them about our home and native land through journal pages that accompany each outfit and play set. It’s been a great experience having these dolls, and we are pleased to tell other people about this wonderful Canadian company! *As always on our site, prices are listed in Canadian dollars (CAD) unless otherwise stated. 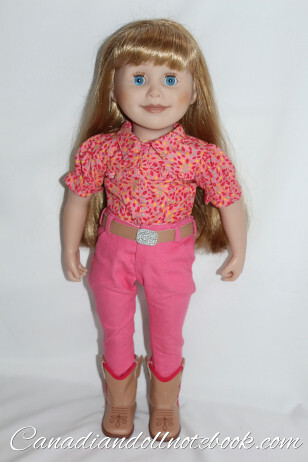 Tags: 18'' Dolls, Canadian, Maplelea Girls. Bookmark the permalink. Question: Do the Maplelea shoes fit the Journey Girls’ feet?